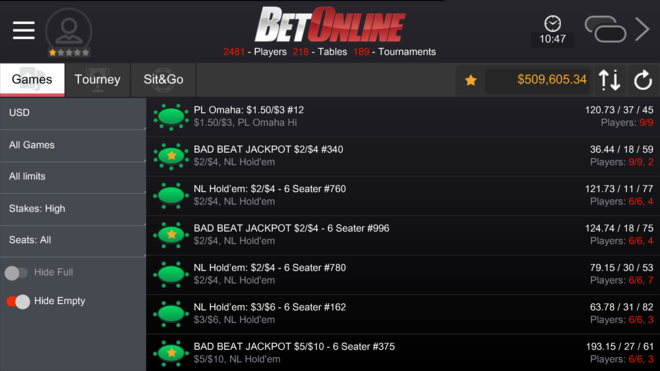 BetOnline Bad Beat Jackpot Back Over $500,000! Oct 17, 2017 – The Bad Beat Jackpot (BBJ) at BetOnline and TigerGaming is once again over half a million dollars. BetOnline have recently also edited the BBJ payout structure so that now when it hits, anybody playing at a BBJ table get a piece of it, not just the table the jackpot was hit at. US players are accepted via the BetOnline skin and RoW players via TigerGaming. 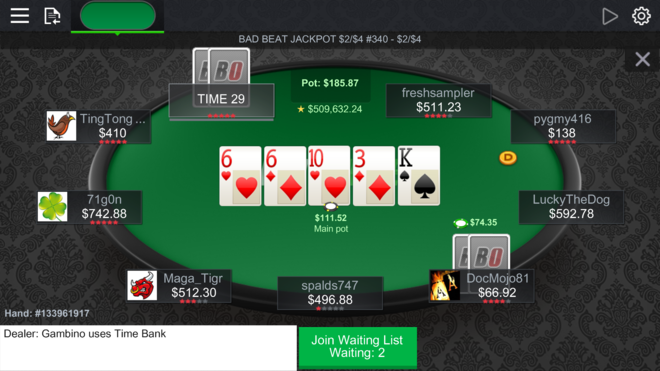 Both skins share a playerpool on the Chico Poker Network, which also has a mobile poker client if you prefer grinding on your handheld device or tablet. The jackpot is bringing in more recreational players and the tables are filling up with fish. At the time of writing ~2,500 players are online across ~220 tables and ~190 tournaments. TigerGaming has higher rakeback but US residents must join via BetOnline. There the 100% up to $2,500 deposit bonus clears at 33.3% effective rakeback in MTT/SNG, and new players can enter a $5,000 freeroll.